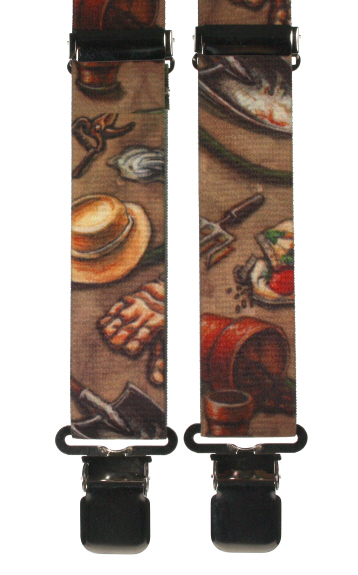 Novelty gardening braces scene with a selection of tools including flower pots, gardening gloves, hat, secateurs and fork on a brown background. Green Watering Can Novelty Cufflinks. A pair of green realistic watering can cufflinks. Something all gardeners should not be without! Boxed.